Rangefinders have a rich history. 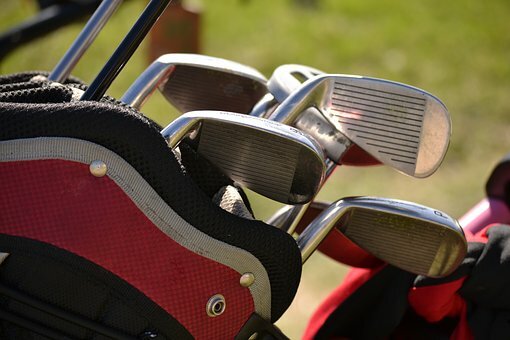 However, their use in golf is still new and it has become popular over the recent years. This is attributed to the increased technology and the ability of these devices to accurately determine hazards and measure distances. They can also assist you in improving your gameplay time and picking the right club, which even a cheap rangefinder can help in. Here are a few factors to consider when buying the best rangefinder. Magnification is one important factor that you need to consider when choosing a device. Magnification is the ability to enlarge objects within a specific distance to make them easier to target. A higher magnification can assist hunters and golfers while they are in the field. For best results, you should opt for a device that has about 5x to 7x magnification. Make sure that the magnification you choose is sufficient for the golfing distance that you are ranging. When buying a golfing rangefinder, you should determine whether you want to calculate your shot or the decline or incline of the terrain. This is important because these differences can ultimately affect the trajectory of your shots. Slope calculation can come in handy when using your rangefinder for your golfing practice because they can help you develop your skills. However, you should keep in mind that rangefinders with slope calculations features are not allowed in golf tournament. The scan mode feature enables users to press and hold the button in order to scan the field of view and check the distance of the objects changing as you scan. When closer objects come to view, you will see the distance decreasing. This gives you the assurance that you have found your actual target. Scan mode is an excellent feature that can also help you to know the exact distance of all the objects that are off in the range. Whether you are experienced in using a rangefinder or you are a novice, nobody wants to use complicated golfing rangefinders. A model that is designed to be easy to use will encourage you to incorporate this device into your golfing routine. Your golfing device will not be of any help if you cannot get the right distance quickly whenever you use it. Before you invest in any specific model, it is crucial that you determine your overall budget. Rangefinders come in a wide range of prices and models with varying features can have substantially different price points. These differences in price is due to differences in design and features. You need to compare features and prices and choose one that is within your budget. Before buying rangefinders, you can consult or seek opinions from your inner circle of friends and other golf players. You can also get advice from expert golfers, especially if you are just starting out. This will enable you to know the best device on the market. Furthermore, it will save you money because you will not have to move around golf shops looking for the perfect device. Recommendations will give you the firsthand information that you really need. With the above factors in place, you are assured of perfect golfing rangefinder that will let you enjoy your games without struggles and help you sharpen your golfing skills. Do proper research and learn more about rangefinders before making your purchase. Golf is without a doubt one of the best games and you do not want to miss out on it.